K20 Renault Kangoo van-mounted work platforms. Perfect for the city. 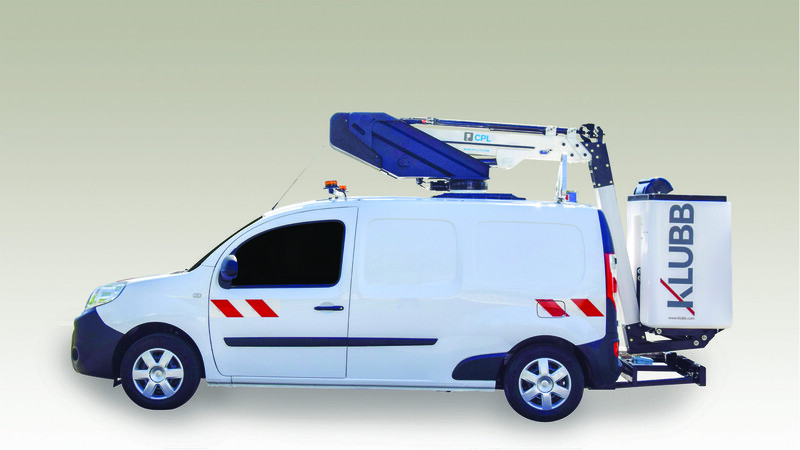 The K20 Renault Kangoo is one of the most compact van-mounted work platforms on the market. This conversion has been designed to provide its users with the best possible tool for Urban projects. With its compact size and no outrigger design, this conversion will make setting up and maneuvering within urban areas much quicker and easier. These van-mounted work platforms have a working height of 9.8m and a working outreach of 4.8m making it perfect for maintenance, pruning and all other applications within busy towns and cities. With no outriggers and a safe working load of 120Kg in the basket, this one-man conversion will cut job set up time. All of the aerial platforms mount on van can be operated with the engine switched off and a green pack installed. This allows operation of the access platform using the battery only and stops the vehicle from emitting harmful pollutants and noise during use of the work platform. We offer a multitude of optional extras on our work platforms to suit any project. These include; Front, rear and cab beacons, work lights, reversing cameras, internal electric sockets, company livery and chapter 8 markings. These are all fitted in house by our trained CPL staff.